I use both these bags a lot on a daily basis (including to work), the Balenciaga is getting so trashed, love the hardware on the Burberry, it's more gold than in the pictures, but not too gold...It is quite smooshed from having sat on a chair for the past few weeks covered in a pile of coats, oops! Carlos Falchi is a Brazilian bag designer, I only discovered him after I left Brazil (he is more popular outside Brazil anyway), and this is one of his most classic shapes. I love all the different textures from all the leathers in this bag (barramundi, snakeskin and so forth) and the gorgeous happy colours (so Brazilian, even though most of his bags are not as colourful as this), the long strap means I can wear this across my body, which I especially like for when I travel. Chloe Silverado bag in original stitching (later models sported the leather laces, I quite like the fine look of this one), this is my current bag 'on rotation', love the side pockets to put my keys and mobile phone for easy access. I have hardly used the Balenciaga classique next to it as I find it a little small, so considered it my 'evening bag'. The amazing thing about this Balenciaga is that the pale blue colour looks different every time I look at it (the picture shows it to be quite vibrant, although it often is a pale sky blue. I find the goat skin so delicate (the bigger Indigo Balenciaga I have is so worn), and so I have not used this a lot. Also, the last time I used this, one of the studs fell in the club I was in, and (being dark), I couldn't find it, which means I can't use the long strap, not happy!!! Louis Vuitton Epi Jasmin in yellow (it has a purple interior, which I fell in love with, I actually bought the matching wallet first, then went for the bag...it reminds me of 'Felix the Cat' for some reason, even though Felix's yellow bag was rectangular, and mine sadly does not turn into a helicopter). Zac Posen Aurora bag: I only used this a handful of times, and then the top part of the lock (engraved 'Zac Posen' which is sort of what the clasp links to) fell off, which I sadly did not notice, I was very upset as I never found the missing piece. I emailed the people at Zac Posen twice and never received a reply...very sad. I loved the way you displayed your collection on the grass and trees! I would love to do the same, but I am such a clean freak that I would spend ages afterwards cleaning the bottoms and the handles, or be too afraid of bugs and mud that I wouldn't put them all outside in the first place. LOL, ridiculous, I know! I used to hate obvious branding, too, but I've gotten used to it now. If bags are going to have their name/logo written all over, I prefer it if they do it in a more subtle way - for example, the LV damier print is easily recognisable as being part of that brand, but doesn't say LV LV LV in prominent letters. I need to do a post on all my bags, too, but my collections live in two different countries so it would be quite difficult! Hah! This post is the best! I love how creatively you displayed the bags, they seem to have come to life. I admire your light blue Balenciaga & that divine yellow LV! hahah. All of the bags are really beautiful. I love so much some of those :D.
the chloe bracelet is such a beauty hanging on the tree. And the Falchi is a beauty too. I love your bag collection. 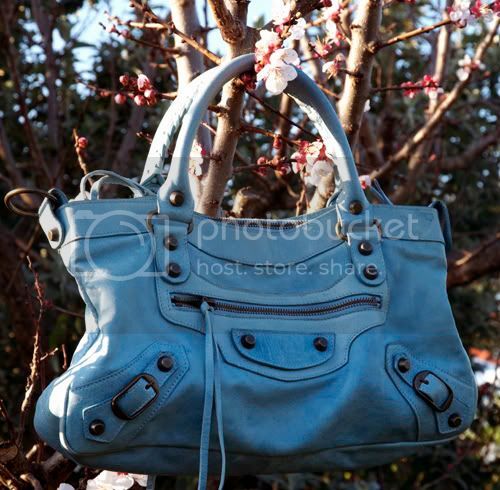 I especially love the Balenciaga in pale blue. I just had a bag spasm of delight! :) I loved the way you arranged this shot, too! OMG I am way jealous- fabulous collection! I desire a Balenciaga sooo much!!! 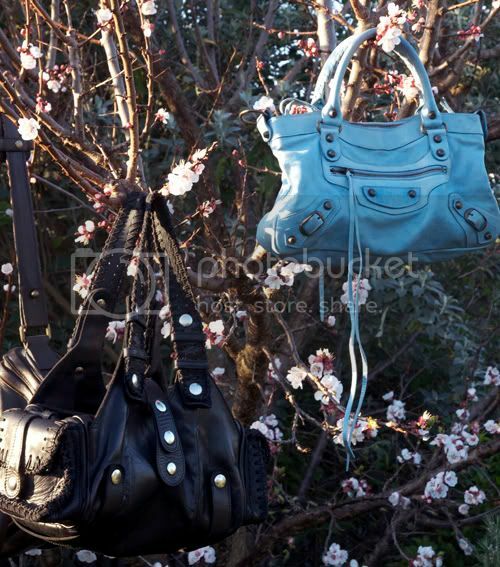 An interesting way to show your bag :'D I love the tree it's so pweeeeeeeeeeeety and of course your bag collection! WOW! I am coming to your house when I need a kickass bag. I thought I had bags. Amazing collection! Ah, I love how you arranged them in a tree. So lovely. 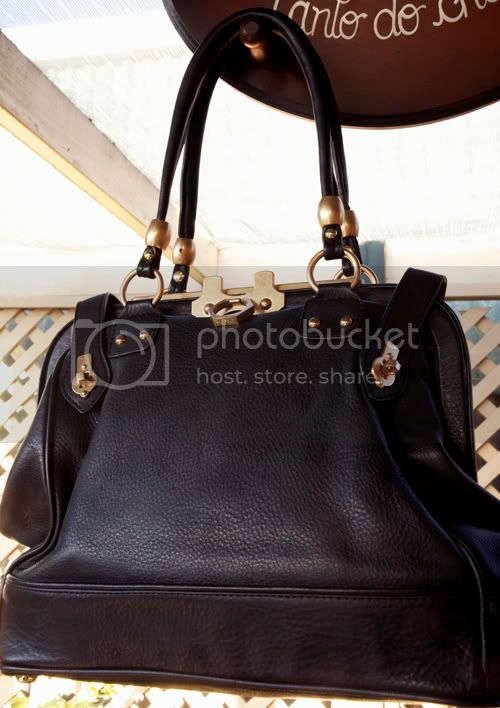 my Balenciaga black city is probably my most worn bag ever. What delightful blooms you have sprouting in your garden!! Great post-imaginative and lovely photos. Haha, thank you all for your lovely comments! um, omg, amazzzzzzing. my absolute favourite is the zac posen bag. its like an ultra stylish doctors bag. i know what you mean about obvious branding, because the way bags are copied these days, i tend to always think twice when i see 'obvious bags' and wonder if they are real or not. what a collection though, better than my TWO BAGS, one of them being just a vintage black bag that i bought from melbourne that is in need of retirement but i just find it so difficult finding bags of interest. What a gorgeous collection! Bags are where I fall down...I have one Givenchy bag that I use everywhere. Your post makes me want to invest in a few more, at least a Balenciaga, right? I especially adore the Zac Posen one, but I've heard that his bags are usually very heavy due to the hardware? 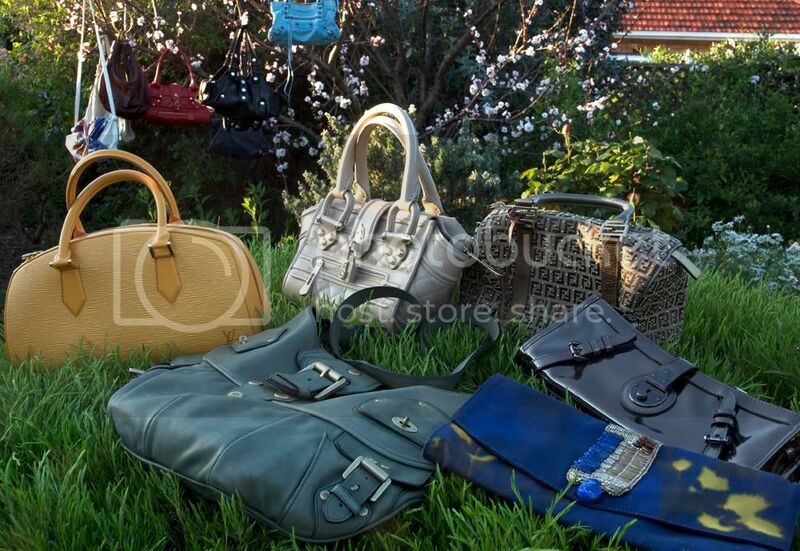 You have a great bag collection and the way you displayed them looks lovely! 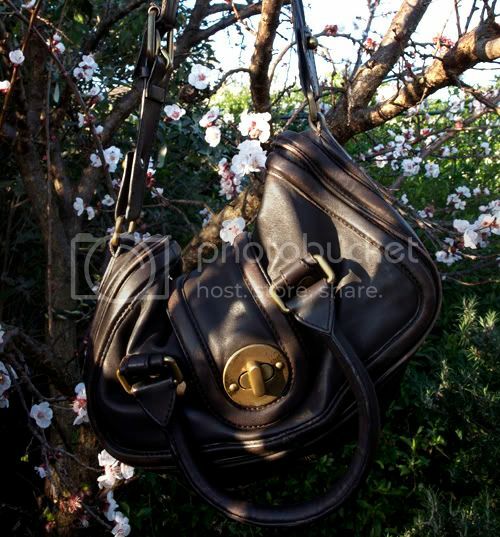 I wish bags did grow on trees. 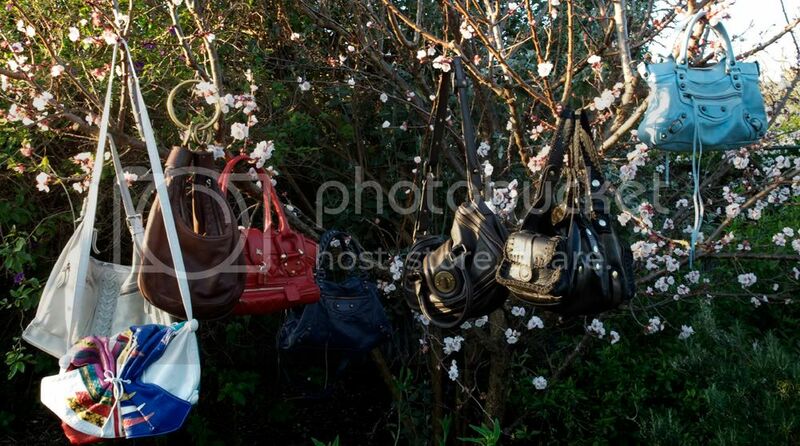 so loving this post...how amazing are you to hang your bags on a tree?! so whimsical and fun...like a dream...i want to fall asleep and dream about a blue balenciaga growing from my tree in my backyard. 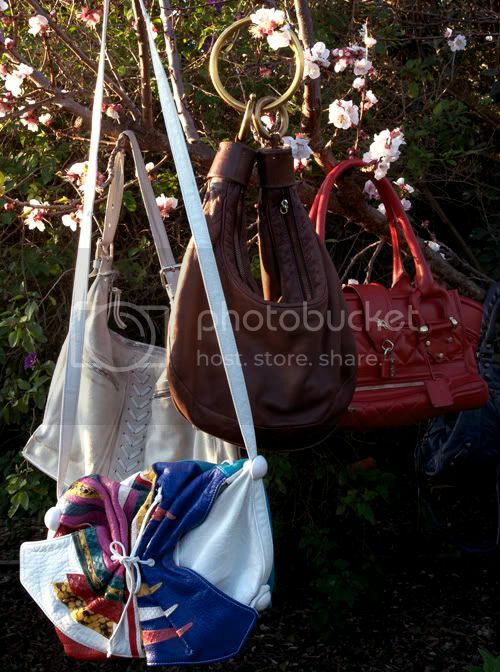 wonderful way to display your bag collection! question: what camera are you using? Very cool. You have an amazing collection! Those purses seem to be ripe. Time to call in the picking crew. first off- i love your zac posen bag and second- this is such a cute way to show off your bags. loved it! What a stunning collection, darling! Especially loving the Balenciaga Le Dix! i love this creative display! they are all gorgeous especially that multi colored one! OMG! You have one amazing bag collection. I LOVE LOVE all of your bags. You have such an AWESOME bag collection! Love especially the way you arrange the pictures. Had to smile as I have the same Chloe bracelet bag. I have arranged it at the side of on an old cheval mirror. The pale blue color of your Balenciaga is swoon ..
Hahah! 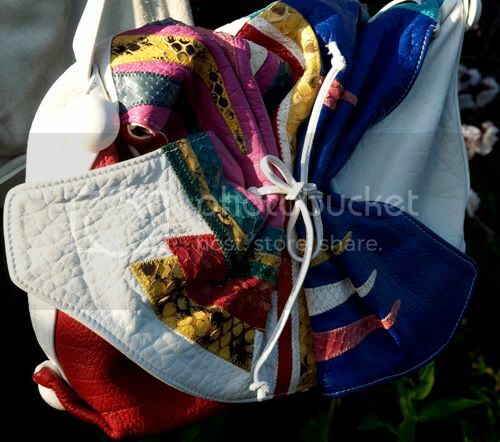 That is such a nice idea :) Your bags look lovely - but well as you already know you have got a lovely style anyway! You're so lucky!...I've been looking for a Mulberry Joni forever. Too bad they're not produced anymore. My heavens! 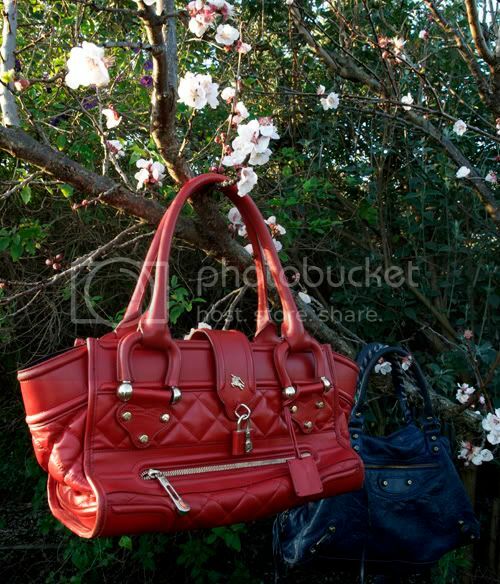 Totally awe-struck right now...what an enviable bag collection...I have a big crush on your red Burberry...super beautiful! Ooh, I love that first picture so much! And I'm sort of dying of envy that you have so many fantastic bags. i wish i had a tree that made growing such beautiful bags. 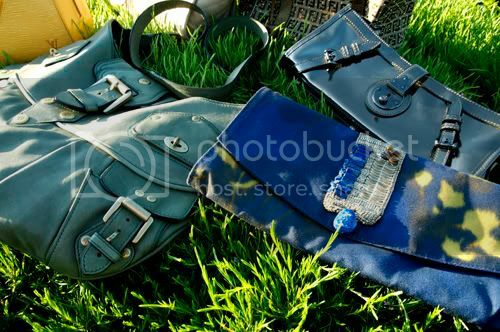 i especially love the balenciaga bags ! i died twice seeing your bag collection! I'm in love with Carlo Falchi's bag, especially the butterfly/ buffalo ones, I think it's one of the most beautiful design bag. This bag has a wonderful innovative structure that makes it classic. The shape is already beautiful itself, great design.